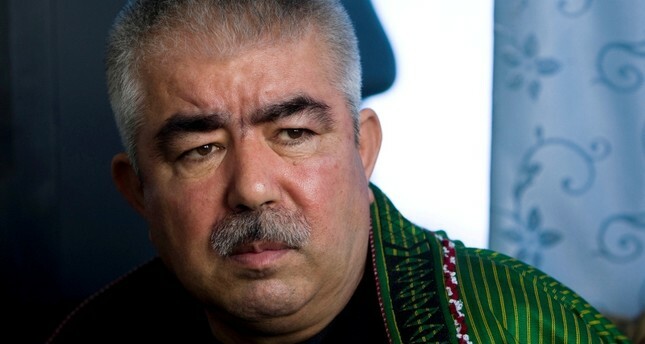 Vice President of Afghanistan, Gen. Abdul Rasheed Dostum on Saturday survived a Taliban assault on his convoy in the northern Balkh province, officials and local media confirmed. Spokesman for the Afghan National Police in Balkh, Adil Shah, told Anadolu Agency the convoy of Gen. Dostum was attacked by the insurgents in the restive Chahar Bolak district of the province. He said exchange of fire between the armed guards of the vice president and the Taliban continued for hours in the afternoon. The local Tolo News reported one guard of the vice president got killed and two others got injured in this incident. Gen. Dostum returned to Afghanistan from a visit to Uzbekistan, and was on his way to his hometown Jawzjan when the Taliban attacked him. Owing responsibility for the attack, the Taliban spokesman Zabihullah Mujahed claimed in a statement the convoy of Gen. Dostum was ambushed in late afternoon. He claimed four guards were killed and six wounded in this attack. In a short public address before embarking on this road trip, Gen. Dostum told his supporters in Balkh he can clean all 15 northern province of the presence of the Taliban if the peace process failed to yield any result.